Something that was viewed as vandalism in the past is now being recognized as an art. But we think that it was really art to begin with because of how it reflects the artist’s feelings, views, or representations of himself. 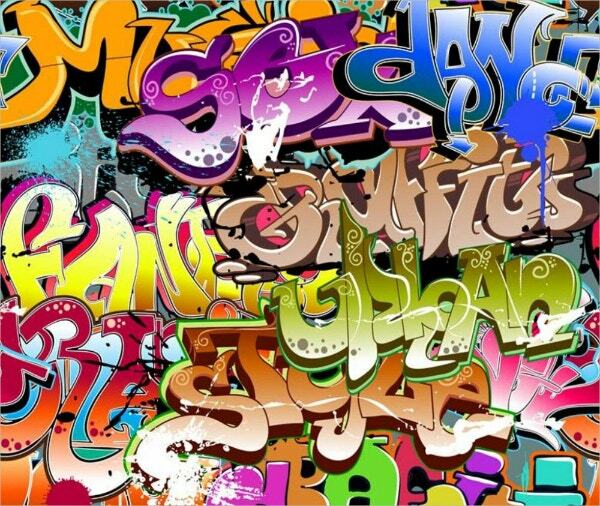 Those color splashes, bold words, and beautiful mess usually hide a message that is far more important than other forms of artworks.More and more people are now being fans of Graffiti and these links will tell you why: You can also see Graffiti Art Examples. 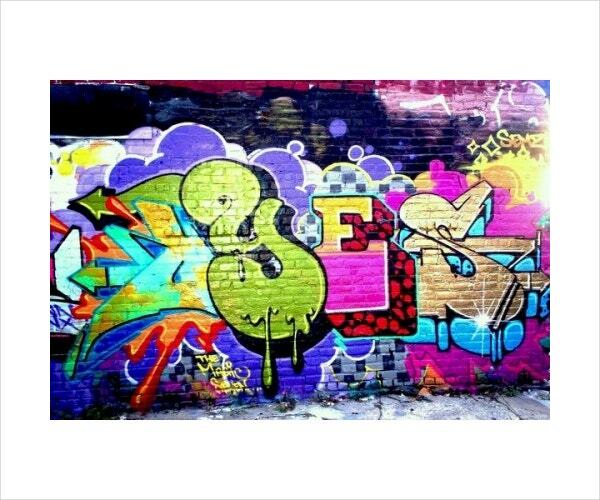 This graffiti is available for $7.00. The most distinctive colors are red, green, yellow, and variations of these colors. 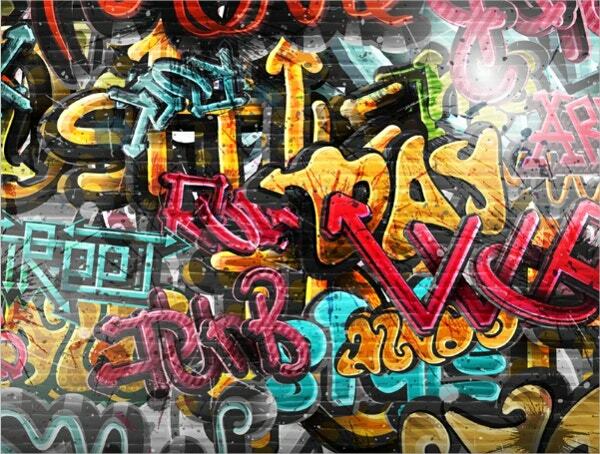 Although it looks a mess of words, you’ll like how neat this graffiti looks. 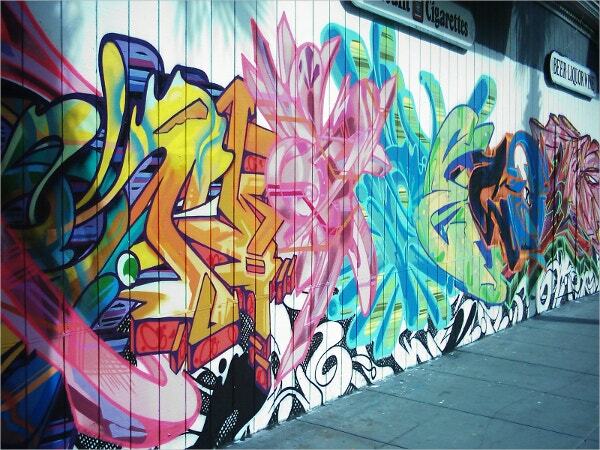 You can say that graffiti is a huge part of the hip-hop culture and this graffiti shows exactly that. 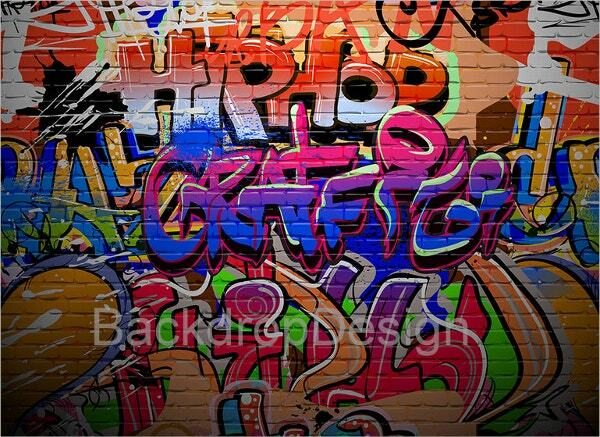 With its big “hip-hop graffiti” in the middle and vibrant colors, this graffiti can lighten up your boring space. 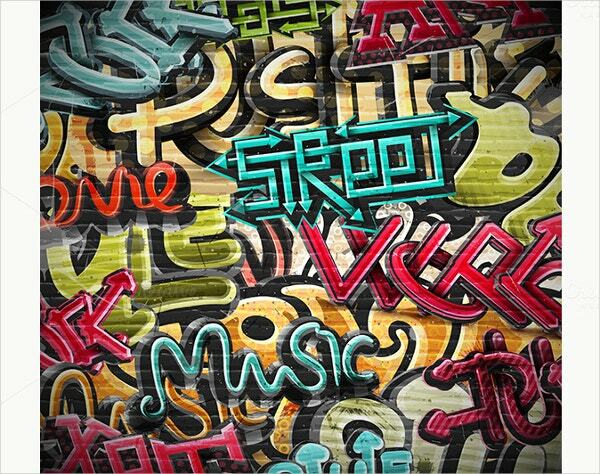 You have to look closely to understand the words and saying in this graffiti wall vector. The street fonts in this graffiti are very intricate and seem like they want your full attention before you can decipher them. 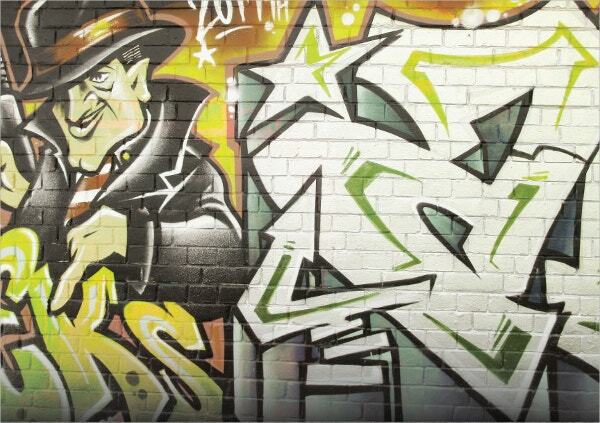 This is the first graffiti background on this list that has an illustration of a man rather than just words. 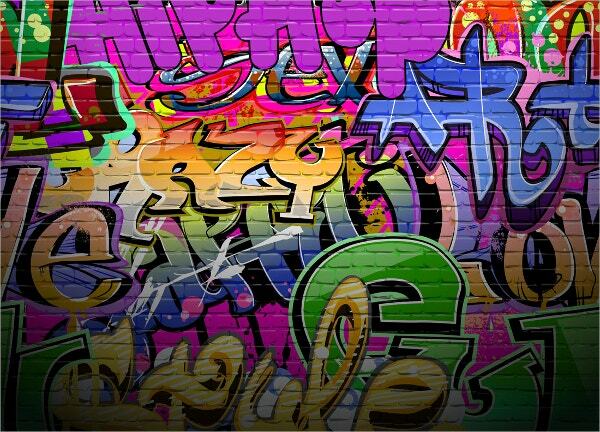 You can buy and download this graffiti backdrop on Etsy. 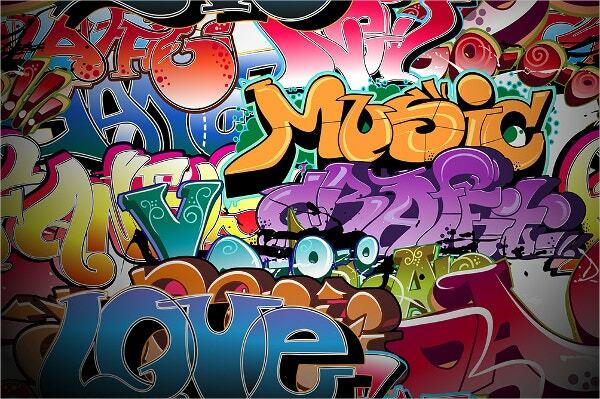 This urban wall background is filled with plump and innocent words such as love and music. It is available in Shutterstock in high resolutions and various sizes. 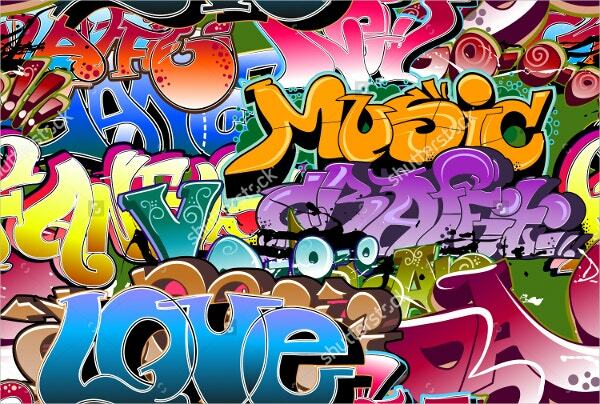 If you’re in need of something with a positive outlook and something that will encourage you to do great things that you’re afraid of, then this YES graffiti backdrop is perfect for you. This backdrop from Etsy is made from seamless and washable fabric materials. This is wrinkle free and the colors will stay and won’t fade out for at least 13 years. 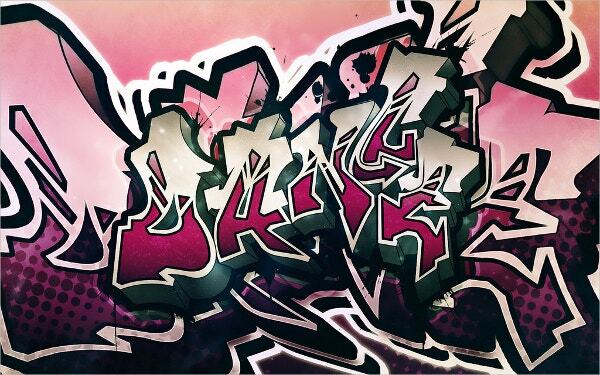 If you like pink and love to dance, this graffiti background by username Sed-rah on Deviant Art is great for you. Waking up to this will surely get your groove on. 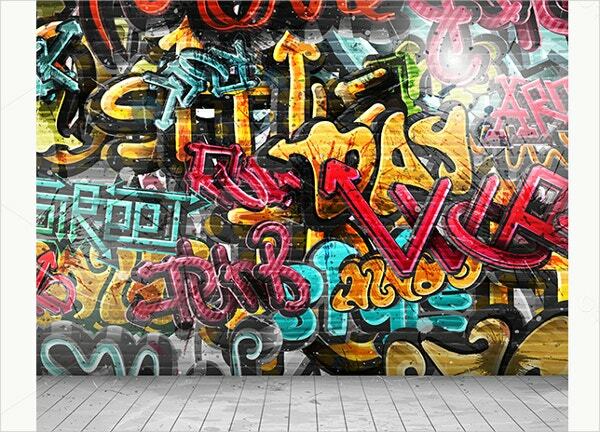 This photography graffiti background will make any model stand out. Its material is vinyl and it’s made to be lightweight and hassle-free. It is also foldable and easy to carry. 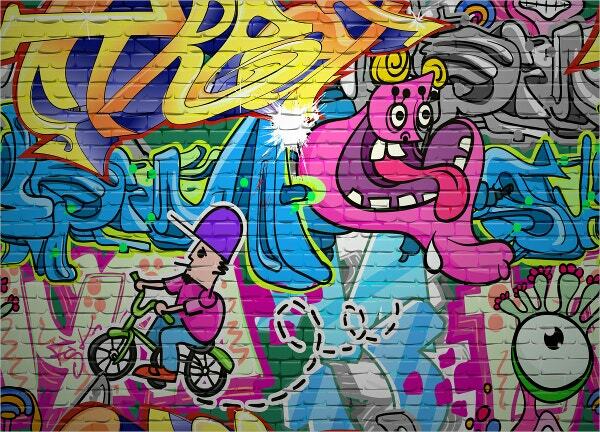 Kids or even kids at heart will love this graffiti background because of its playful illustrations and vibrant colors. This can surely brighten up a dark room with its light colors. This graffiti might need some parental guidance. It shows a close-up painting of a man or some creature eating another creature. But what we like about this are the cool colors that are a little refreshing. This graffiti background ranges from light to dark colors. We especially love the pink and bright blue splash of colors in the middle. The white background behind these colors also make them standout. 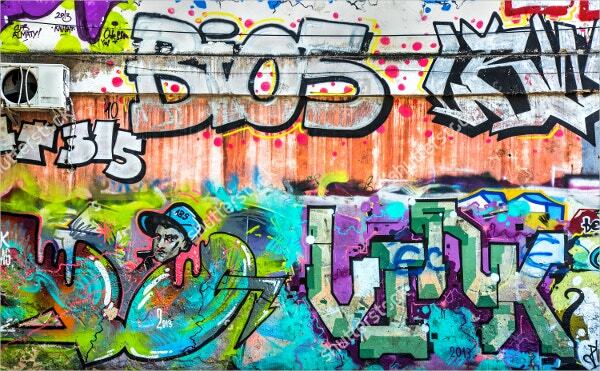 This graffiti looks like a mix of different styles. 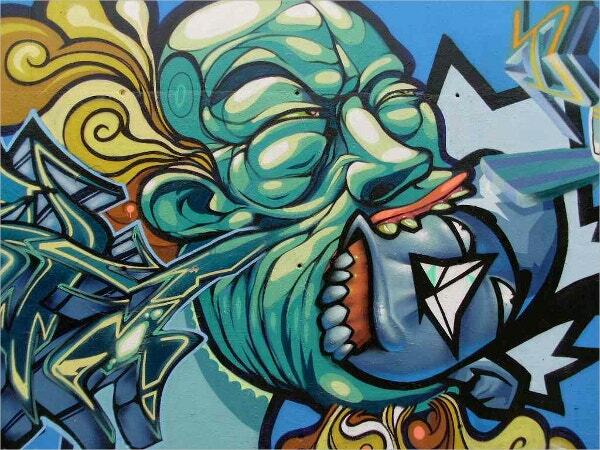 This beautiful street art shows off darker colors at the bottom and seems to be fading to lighter colors on top. You can hang these graffiti backgrounds anywhere from your bedroom to your office wall. You can also use them as wallpapers on your phone or computers. Everyone appreciates graffiti nowadays and it seems impossible not to see one in every corner. You can also get inspiration form them and make one for yourself. 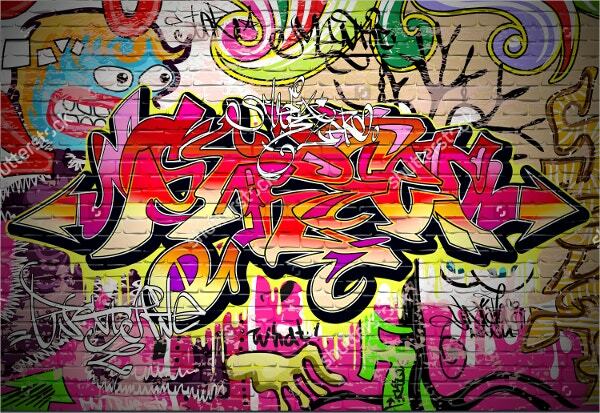 You can also see Graffiti Backgrounds.